I have always loved Pinot Noir and, like most somms I tend to favour some serious villages in the Burgundy region. My all time fave is Mercury and I am a twitter when a Pommard shows up to a tasting. 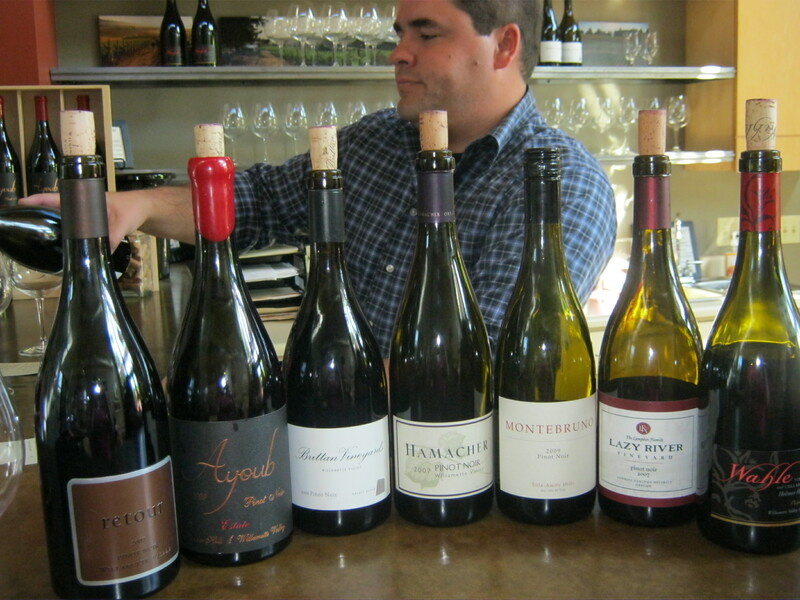 So being a Pinot lover I jumped at the chance to head to Oregon for a tour of the terroir. I drove into the Willamette and my eyes were sparkling soaking up the gorgeous vistas ahead, filled with hazlenut trees, hops and rows upon rows of Pinot Noir. While they do grow other varietals make no mistake that this is quintessential Pinot country. What I really didn’t know was that there is amazing bubbly to be had here. Sparkling wine is my second favourite wine ever, no matter the country, I was impressed to see these very American wineries make very French style wines. The king of the crop, for me, is none other than Rollin Soles. A native Texan who felt that the Willamette was the perfect marriage of soil and temperature for good Pinot to grow. His love of bubbly has made him one of the finest makers of sparkling wine in the US. Argyle Winery makes truly spectacular wine and the ratings show it. Now while the big boys like Domaine Serene and Maison Drouhin are here too it was the smaller wineries and the Carlton Winemakers Studio (a beautiful co-operative) that gave me the greatest pride. 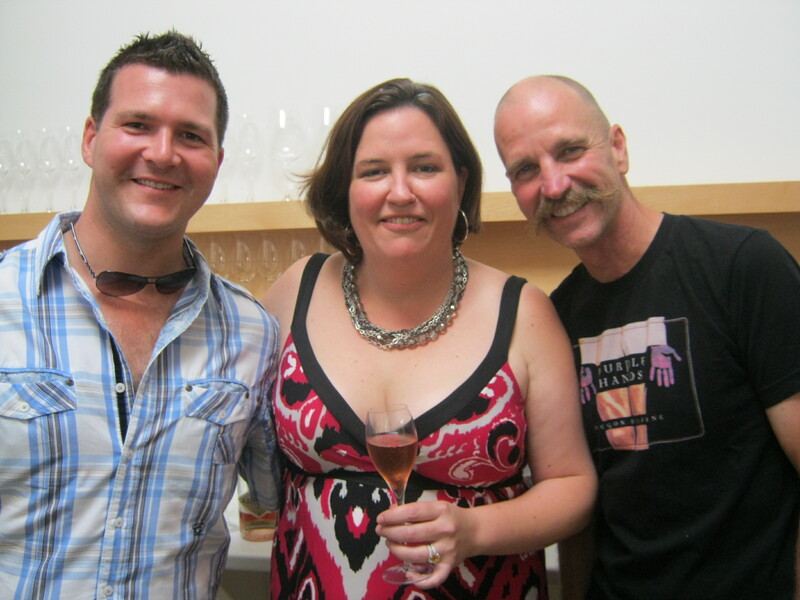 I met with winemakers and owners who are just making good wine in a very natural way. They love what they do and make you feel very welcome. Tastings are relaxed and informative and most tasting rooms have wine to buy on site, complete with shipping boxes. Gotta love the US shipping laws, service oriented and no duty. As a Canadian I felt at home with the fabulous views and the endless driving, reminding me a lot of Prince Edward County. The winemakers or vineyard owners were very charming, some chuckling about the stringent liquor boards we have to put up with and some commenting about the few labels that actually make it to Canada, through no fault of their own. I left the Willamette with perhaps an even greater love of Pinot. Oregon makes it in such a French way with all the earthy overtones of Burgundy with a little more upfront fruit. In a blind tasting you may not be able to tell, but the pocketbook may. Searching the provinces I have found that really good Burgundy will set you back between $30 and $100 while really good Oregon Pinot could cost up to $60. Premium is premium let’s not forget but bang for my buck I got a new love now and he’s American.